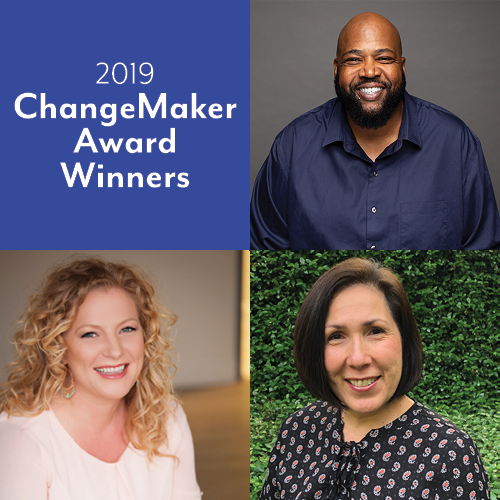 Announcing our 2019 ChangeMaker Winners! 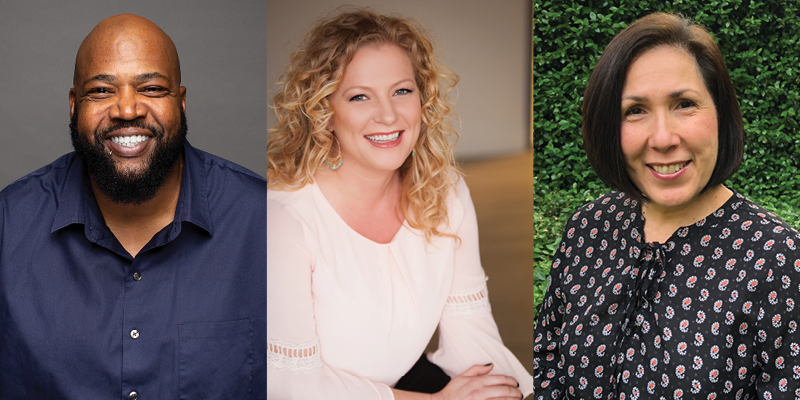 It is a pleasure and honor to announce Lewis Conway, Jr., Kate Lincoln-Goldfinch, and Karen Ranus as the recipients of the 2019 Austin Young Chamber ChangeMaker Awards, to be presented at the LEAD Summit Luncheon on Friday, February 15 at the AT&T Executive Conference Center. The ChangeMaker Award pays tribute to those who are doing extraordinary things to make our community a better place. ChangeMakers are thought-leaders and do-ers who create innovative solutions to community or industry challenges. They identify the need for change, and through their inspiring efforts, proactively and successfully make that change happen. Click on their name to learn more! 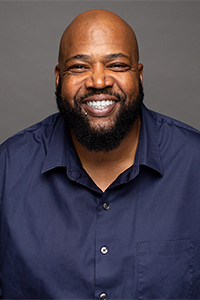 Lewis Conway Jr., is a serial entrepreneur, with almost two decades of experience in the broadcast and music industry, real-life, in-the-trenches experience as a sought after speaker and lecturer, author of three books, mentor and criminal justice organizer, his strategic vision is radically different. Lewis has built a cachet of servant-leadership through several campaigns in municipal and state political theaters. On July 23, 2018, Conway filed to become the first formerly incarcerated person in Texas to have their name on an electoral ballot. On November 6, 2018, he garnered 11% of vote, ultimately losing his first bid for political office. Prior to his political, leadership and entrepreneurial efforts, Lewis Conway Jr. spent 2,095 days in Texas prisons and 4,012 days on parole for Voluntary Manslaughter. Thank you to Erik Carlson and ATX Video Marketing! 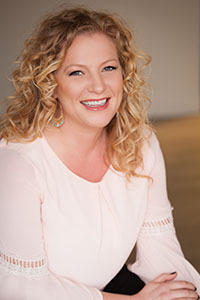 Kate Lincoln-Goldfinch is the owner of Lincoln-Goldfinch Law, with offices in Austin and Waco. She was the recipient of an Equal Justice Works Fellowship in 2008, completed at American Gateways. Her project served the asylum-seeking families detained at the Hutto Detention Center. After her fellowship and during the federal hiatus from family detention, Kate opened a boutique immigration practice, where she offers family-based immigration and removal defense, including humanitarian cases such as asylum, U Visa, and VAWA. 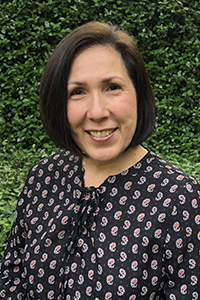 Kate serves as the pro bono liaison for the American Immigration Lawyers Association TX, OK, and NM chapter and serves on the boards of Casa Marianella and the Civil Rights and Immigration Section of the Austin Bar Association. She regularly mentors and trains attorneys in an effort to encourage pro bono work outside of the immigration bar, including hosting a monthly pro bono trip to the Karnes Family Detention Center. She was active in working to reunite separated families during the Zero Tolerance policy implemented by the Trump Administration during the summer of 2018 and she has appeared on news outlets such as the BBC, MSNBC, the New York Times, and National Public Radio as an immigration expert. Her most important accomplishment of all is her family: her daughters Nora and Winslow, and her husband Josh. After 30 years as a volunteer-run organization, Karen Ranus became NAMI Austin’s first Executive Director in 2014. During Karen’s four-year tenure of dynamic leadership and commitment to program growth, NAMI Austin has increased the number of persons participating in its programs by more than 3000%, grown its staff from 2 to 7 and more than doubled its budget. Her passion for NAMI Austin’s mission and work stems from her own family’s mental health journey, having almost lost a daughter to suicide in 2011. Encountering families like her own through NAMI, she recognized the powerful role of no-cost education and support programming for families and individuals living with mental illness as well as the schools, places of worship, workplaces and communities where they live, work, play and learn. Her vision of changing the mental health conversation is reflected in the most recent and successful programming she developed which focuses on providing people with the information and simple tools they need to have positive and proactive conversations about mental health at home, school, work and in faith communities. In addition, her commitment to developing partnerships with law enforcement has ensured officers in Austin Police Department and Travis County Sheriff are receiving mental health training rooted in a deeper level of empathy, compassion and understanding for persons in mental health crisis. Karen holds invited positions on the Board of the Mayor’s Health and Fitness Council, the Travis County Behavioral Health & Criminal Justice Advisory Committee, the University of Texas Center for Youth Mental Health Advisory Committee, the Austin State Hospital System Redesign Steering Committee and the Psychiatric Stakeholder’s Group. Most recently, she was appointed to serve as a co-chair of the Austin Police Department’s Mental Health Stakeholder’s Group. She has been featured as a guest columnist on mental health issues in the Austin American-Statesman, Austin MD Magazine and The Daily Texan and is a frequent speaker in the community on mental health topics. Because she firmly believes that storytelling is one of the most powerful ways our community can overcome the stigma and shame associated with mental illness, she often shares her own family’s journey and inspires others to do the same. Karen’s deepest commitment is to changing the mental health conversation and create the potential for people impacted by mental illness to feel empowered and confident in getting the help and support they need to live healthy and productive lives. Want to learn more about the 2019 ChangeMaker Winners? Join us at the LEAD Summit Luncheon on February 15 where will we honor the winners with exclusive videos highlighting their accomplishments. Thank you to our videographer – ATX Video Marketing, video sponsor – Community Impact Newspaper, and video shooting location host – AMLI Residential, for helping us spread the stories of our ChangeMaker Winners!